Driving traffic to your website is essential. Regardless of the quality of your website content and design, without visitors, all your efforts will be wasted. With a user-base of millions around the world, Facebook provides incredible opportunities to increase your website traffic. For example, you can take advantage of free promotional campaigns or pay for advertising. 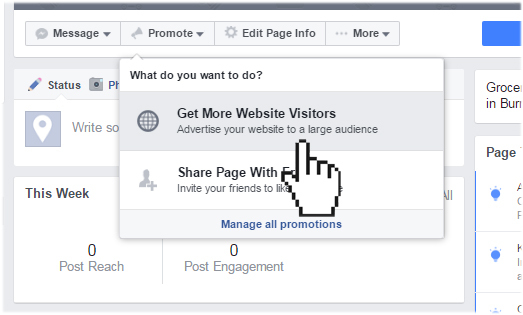 In this article, we will show you ways you can promote your website with Facebook. There are many ways to promote your website with Facebook and the easiest way is to include Facebook buttons on your website. Your Website.com editor comes with find various different Facebook sharing buttons you can add onto your website. Facebook Like – the Facebook Like button lets your visitors quickly like and recommend your website on Facebook. Facebook Share – the Facebook Share button lets your visitors add a personalized message to links before sharing your website on their timeline. This button also lets them customize who they share your website with. Facebook Follow – the Facebook Follow button lets your website visitors subscribe to your updates on Facebook. Social Link Bar - the Social Link Bar lets you link your visitors directly to your social media web pages, such as Facebook, Twitter, Google+, YouTube, and much more. You can use Facebook Pages to promote your brand, business, products and services, or even yourself. To begin promoting your website, you will need to create a Facebook account. Once you have a Facebook account, you can customize your page and share it among your fans, or run promotions to attract people to your website. 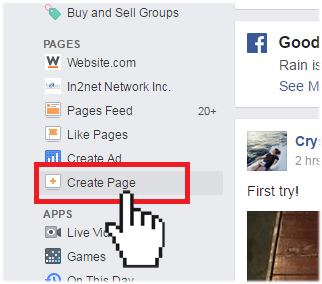 Login to your Facebook account and click on Create Pages on the side menu. Select the correct category and provide the required information (ie. business name, address and phone number). When ready, click Get Started. On the page set up page, provide all the required information. When ready, click Save Info. You can also skip this step and enter your information later on. Next, upload a profile picture for your page. This can be your business logo, a picture of your company or yourself. When ready, click Save Info. Again, you can also skip this step and upload your profile picture later on. If you want to add your page to your favorites, click Add to Favorites. If not, click Skip to go to the next step. The next step is to define your preferred page audience. You can set your preferences based on geo-location, age group, gender, interests and languages. When ready, click Save. Again, you can skip this step and set your preferences at a later time. Once you have created a Facebook page, you can start customizing your page and/or begin an advertising campaign. Since it's free to set up a Facebook page for a business or organization, you'll be competing with other pages for Facebook users' attention. You need to find a way to make your page stand out from the crowd. 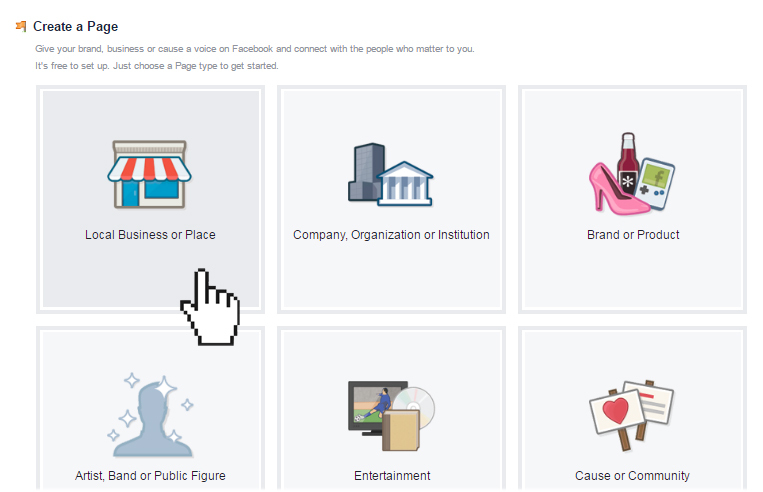 Customizing your Facebook page is one way to do this. For example, you can create customized tabs or include buttons that link straight to your website. 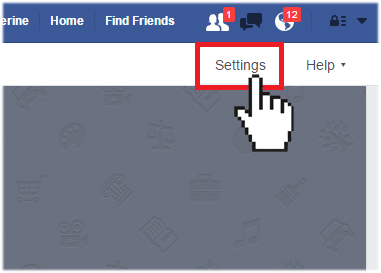 Open your Facebook page and click on Settings from the top menu. Select Edit Page from the side menu. Customize your page tabs using the wizard on the right panel. 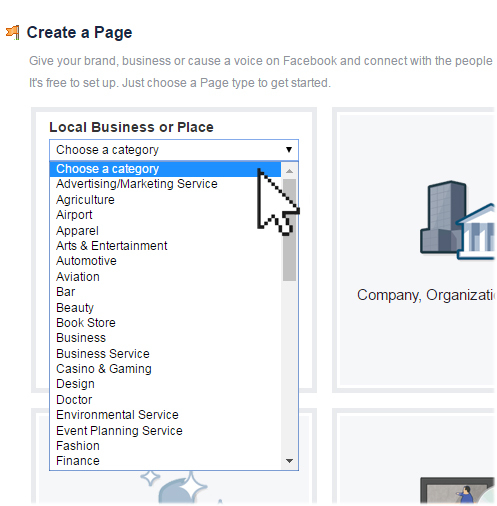 Facebook offers advertising packages that lets you promote your page or website. You can choose whether to pay a set fee for your ads to display a certain number of times or a click-per-view fee. Either way, you can specify your maximum budget so you won’t spend more on advertising that you intended. 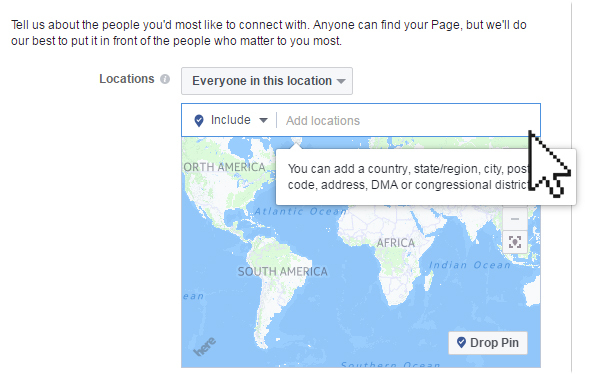 You can also target your ads toward certain demographics, choosing gender, age, location and interests. 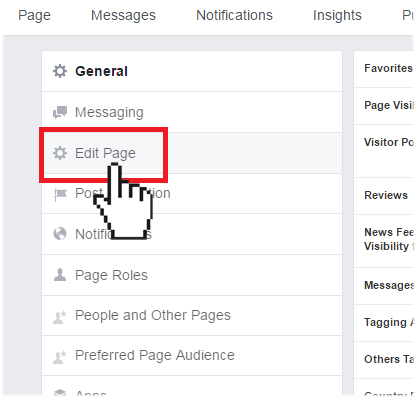 Open your Facebook page and click Promote on the menu. Select the desired option: Get more visitors or Share your page. For this example, we will select Get More Website Visitors. On the Promote Website wizard, provide an image, URL and description text. Fill in the details about your promotion. When ready, click Promote Website. If you run a blog on your website, you can use Facebook to promote your blog by publishing RSS feeds on Facebook. There are many Facebook apps designed for bloggers, including: PostPlanner. Another way to generate traffic to your blog is to publish interactive content, like contests. Engaging your visitors and fans through a Facebook contest is an excellent way to get more Likes on your page and create a buzz around your brand. Start a Facebook Contest now, it’s easy.